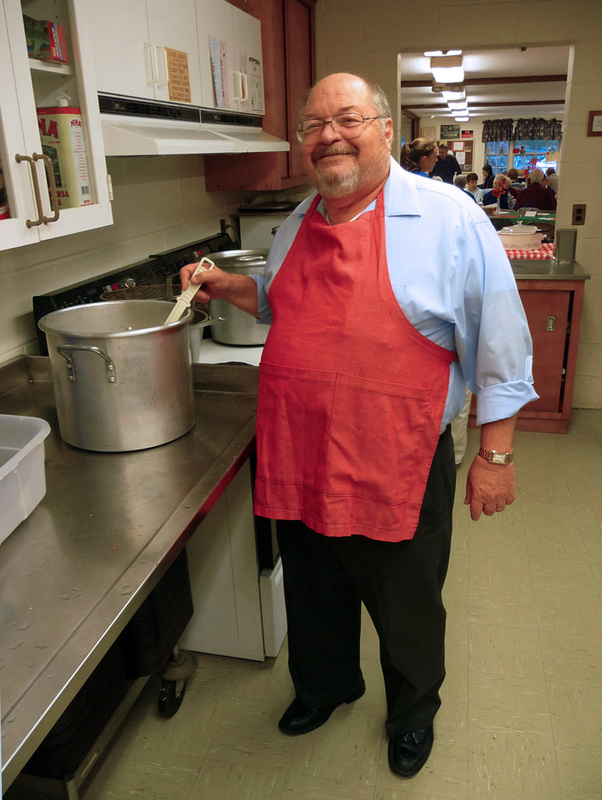 I stopped off to help with the lasagna dinner at King Street Church tonight, where I snapped this photo of volunteer chef Bob Sanger. A recently retired schoolmaster, Bob is also a gifted tenor who sings in the church choir. .